Halifax borrowers have a surprising number of lender and rate options given the size of the city. What follows are the lowest rates from providers with offices in or near the downtown. For the mortgage options outside of Halifax check the best rates in Nova Scotia. Mortgage Market Overview: With a large number of lenders vying for Halifax’s modest volume of mortgage business, well-qualified borrowers can expect competitive rates and the upper hand in rate negotiations. While there are numerous lenders in the Halifax area, including alternative and private mortgage companies, major banks (especially Scotiabank) and top mortgage banks (particularly First National) have the most success in attracting homeowners. A higher level of seasonal employment in the city, and throughout the province, means additional documentation requirements for many borrowers. Even those with a good salary and credit may have difficulty receiving a mortgage approval if they can’t prove a sufficient two- to three-year history of seasonal employment. The availability of buildable land means that house mortgages are much more prevalent than condo mortgages in and around the city. Given Halifax’s modest home prices, the average mortgage is a fair bit less than the national average. 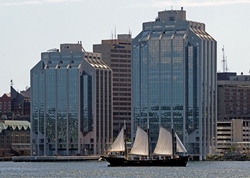 City in Brief: As the capital of Nova Scotia, Halifax is a major business centre but is also renowned for its maritime history. This port city consistently ranks among the top five best places to live in Canada and gets top marks for its business friendliness. Our special thanks to Chris Vye of The Mortgage Centre, Halifax for his assistance with this page.